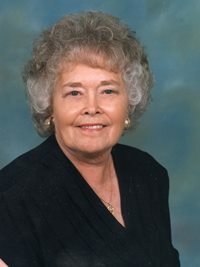 Ivagene Vanderford Parrott, age 88, of Lawrenceburg, TN passed away Wednesday, November 21, 2018 at NHC Healthcare of Lawrenceburg. She was a native of Lawrence County, TN, retired from Murray Ohio, and a member of Meadow View Baptist Church. She was preceded in death by her parents, Robert Lee and Janie Shannon Vanderford; three sisters, Wilodean Vanderford Dowdy, Frances Vanderford Golden Simpson, and Kay Vanderford Smith; and two brothers, Robert E. Vanderford and Lelton Leo Vanderford. Arrangements are being handled by Neal Funeral Home, 231 N. Military Avenue, Lawrenceburg, Tennessee. The family will receive friends from 5:00 PM to 8:00 PM Monday, November 26, 2018 at Neal Funeral Home. Funeral services will be conducted at Neal Funeral Home at 1:00 PM Tuesday, November 27, 2018, with Charles Gresham officiating. Interment will follow at Union Hill Cemetery in Lawrence County, TN. Family suggests memorials be made to the Alzheimer's Association, 478 Craighead Street, Suite 200, Nashville, TN 37204.